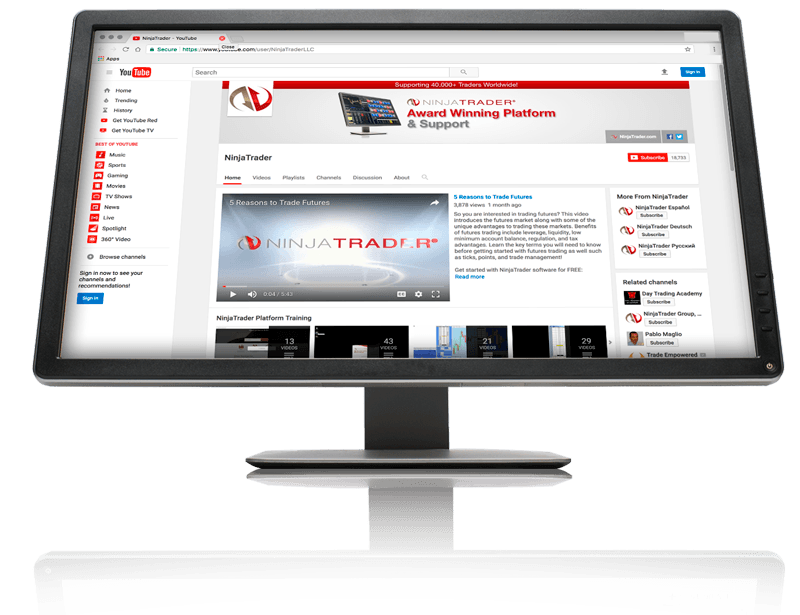 The NinjaTrader Ecosystem is home to 450+ 3rd party professional app developers and trading educators dedicated to helping you reach your trading goals. Learn how professional traders utilize NinjaTrader to maximize their trading potential. Personalize NinjaTrader with 1000s of indicators, signals and strategies from our vendors. Discover how you can customize NinjaTrader’s functionality and expand your trading IQ through a collection of archived webinars presented by trading specialists.